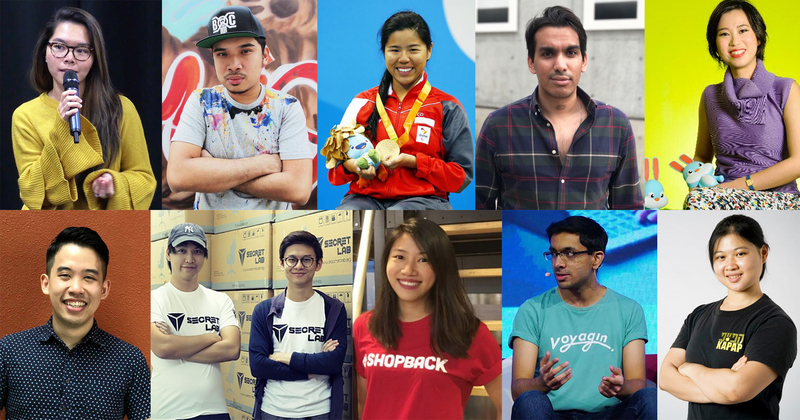 Forbes is back once again with its 30 Under 30 Asia list, and this year, we see 13 categories – an increase from ten in 2017. We also see a slight increase in the number of individuals in Singapore, some of whom we’ve worked with for features on Vulcan Post before – congrats, you guys! Let’s take a quick look through the list, and celebrate their successes at the same time. Mighty Jaxx was established in Jackson Aw’s bedroom in 2012 on a $20,000 loan. When we talked to Aw last year, the 4-year-old startup had sold over thousands of figures to toy enthusiasts in over 50 countries. To date, they have worked with DC Comics, New Balance, and renowned artists to bring unique figures to life, and Aw revealed that they are looking forward to creating even more collaborations and original content in the years to come. Always remember that money is but a by-product of success and that success is achieved through a relentless pursuit of your vision. That’s where you’ll want to be. Chinese-Singaporean photographer Jingna Zhang was born in Beijing to a sporting family. At 8, she moved to Singapore and enrolled in Raffles Girls’ School at age 14, where she began training in air rifle. Within nine months, she broke her first national record and joined the national team for 6 years, during which she went on to break several more records at international events. While an illustrious sporting career seemed cut out for her, she decided to pursue a degree in fashion design instead, picking up photography at 18 as a hobby. 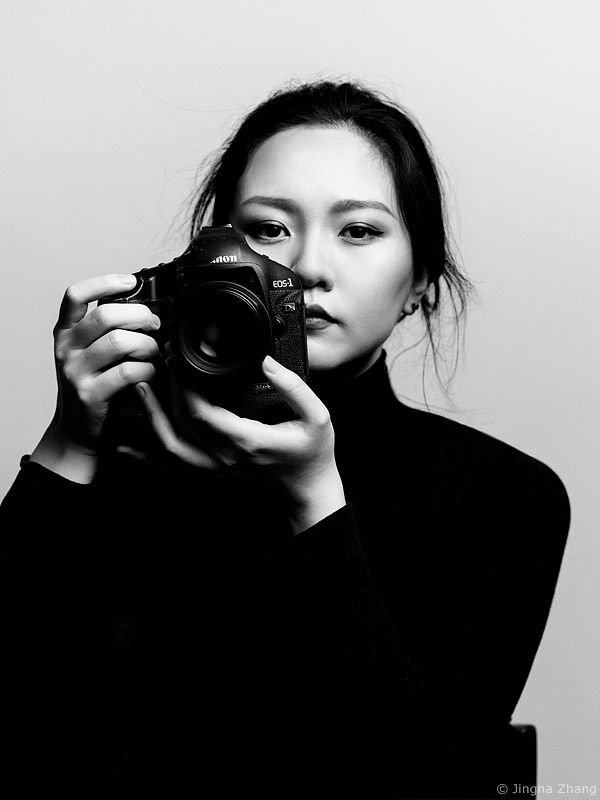 Soon, this hobby turned into a full-time pursuit, and she quit the national team and her studies to focus on her budding photography career. To date, she has held multiple exhibitions and worked for clientele like Mercedes Benz, Canon, and produced fashion editorials for magazines like Elle and Harper’s Bazaar. 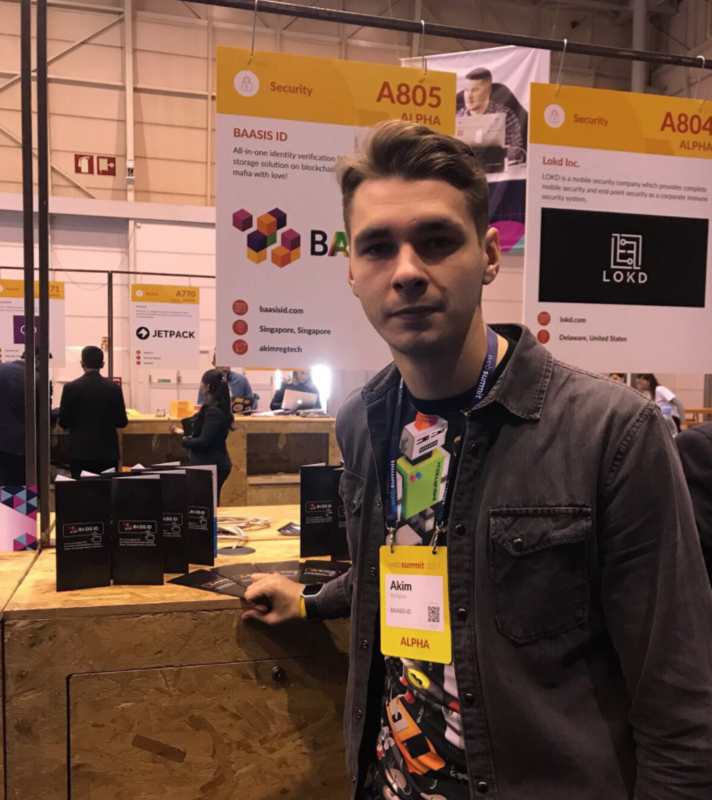 Akim Arhipov is an Estonian entrepreneur based in Singapore, and the co-founder of data and analytics startup Data Depot. Under his role, he launched a service called BAASIS ID, which is a blockchain-based tool to help financial services verify and store their customer data. His team was also involved in the creation of an electronic ID system and eGovernment portals for the Estonian government, and the building of an electronic identification system for Bahrain citizens. Using biometric facial recognition, passport and ID validation, bank account validation, and sanctions screening, the service also aims to help businesses and institutions reduce the risk of regulatory issues, fraud, and damage of reputation. A serial entrepreneur, he was also a co-founder of successful IT and transport startups OnniBus.com and SuperBus.com. 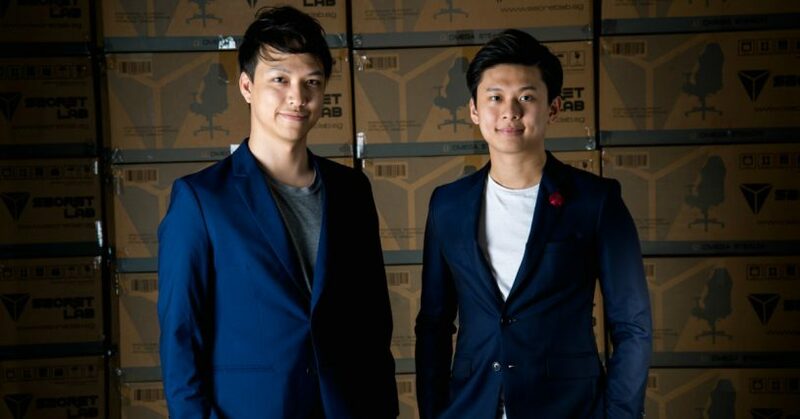 Founded in 2015 by Zack Yang and Louis Liu, FOMO Pay has a vision of bringing vendors in Southeast Asia on board the cashless payments train by allowing merchants to accept transfers from e-wallets like WeChat Pay, GrabPay, mVisa, and NETSPay with its QR code solution. Currently they serve companies from a wide range of industries, including those in telecommunications, tourism, F&B, retail, and so on. Some of their notable clients include Marina Bay Sands, StarHub, Club 21, CHANEL, Singapore Press Holdings, and JUMBO Seafood. The startup has won multiple awards, and is also part of the Monetary Authority of Singapore (MAS)’s SGQR Taskforce to promote payment by QR codes in Singapore. 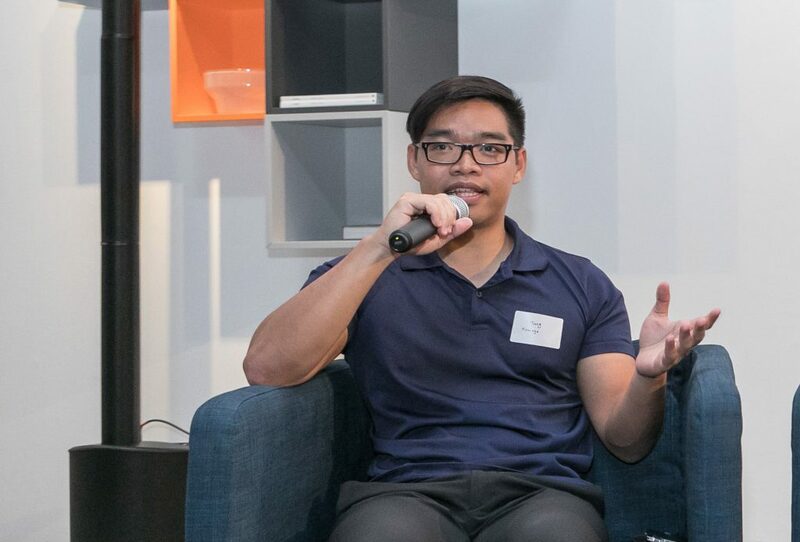 Co-founder of fundMyLife, Jackie Tan’s inspiration to start up was a personal one – when he realised that his father bought insurance that was unsuitable for his situation after a lung cancer diagnosis. 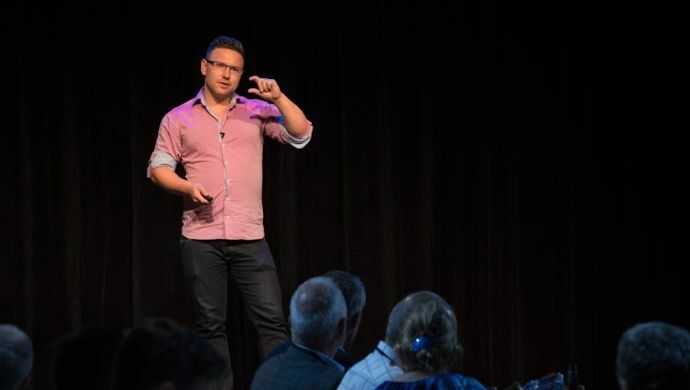 With that, online platform fundMyLife was created to help make financial planning easier for consumers, by using an algorithm to connect users to appropriate financial advisers. All users need to do is create a profile, ask their burning financial planning questions, and wait for the system to find their financial planner matches. Users will then get up to 3 different answers from 3 different agents, and can choose the one they’d want to engage after reading up their reviews on the platform. 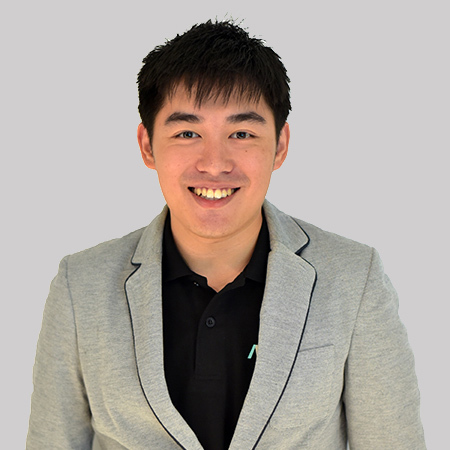 Julius Tan is the co-founder of Electrify, an energy retail marketplace in Singapore. With the liberalisation of the electricity market in Singapore this year, the marketplace helps users to ‘shop’ for power service providers and purchase tailor- made plans, including bundled deals, and electricity plans powered by sustainable energy sources. In our interview with them last year, they also promised that new users can expect 10-30% discounts on their bills, alongside grocery vouchers and even cash rebates. According to their website, they have facilitated $3.8m worth of transactions since March 2017. The startup has also successfully jumped on the blockchain bandwagon, stating that they want to create a new energy marketplace based on blockchain tech. Recently, Electrify has also raised $30m in less than 10 days through the sale of electronic currency tokens. Dr Crystal Abidin is an anthropologist and ethnographer with a focus on internet culture and young people’s relationships with internet celebrity, self-curation, and vulnerability. She obtained her PhD in Social Sciences (Anthropology & Sociology, Media & Communications) from the University of Western Australia in 2016, and has won over 70 grants and awards to date. She has also authored over 30 peer-reviewed academic publications, and being a thought leader in the topic, has been asked for her opinions by international press. Currently a Postdoctoral Fellow with the Media Management and Transformation Centre (MMTC) at Jönköping University, Researcher with Handelsrådet (Swedish Retail and Wholesale Development Council), and Adjunct Researcher with the Centre for Culture and Technology (CCAT) at Curtin University, she also consults with businesses across Asia, Australia, and Europe who build youth-oriented services. Milan Reinartz is the Singapore-based founder and CEO of New Zealand ad-tech startup Postr. What Postr basically does is to allow telco-branded white-label Android apps to display tailored adverts on the lock screen of users’ mobile phones, rewarding the ‘hosts’ with free data and minutes in return. Inspired by US company Locket, he wanted to “prove there was a better way” to display advertisements. “[…] I am quite proud of is making display advertising more enjoyable – to make it great again. Or even make them love it again,” he shared in a Mumbrella interview. The opt-in model does make people more positively biased towards advertising because it’s not something that has been forced upon you like on a news site. The startup has offices in New Zealand, Singapore, and Portugal, and is partnering telcoms like Spark, 3 Hutchison, and Telkomsel. Josephine Chow and Lai Shanru are 2 of the six co-founders of ShopBack – a startup familiar to Singapore consumers, and probably the most used cashback portal in Southeast Asia. They clock in almost 1,000 orders per hour from over 1,300 partner merchants, and have annualised sales figures of over S$408m. 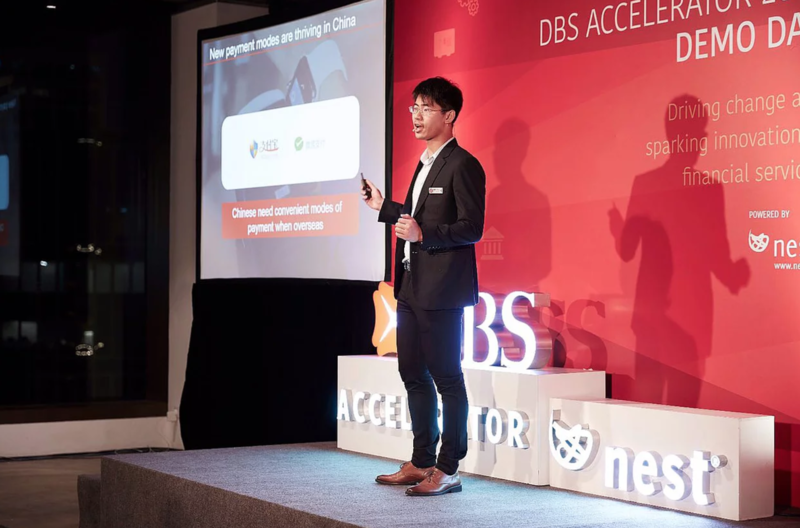 Last November, they also announced a successful funding of US$25m, in a round led by Credit Saison and investors like SoftBank Ventures Korea, Singtel Innov8, East Ventures, and so on. This brought their total funding to US$40m, since their launch in 2014. Our culture of ‘fail fast, learn fast, iterate faster’ has served us very well. Failures are celebrated and not condemned. This allows us to stay nimble, be innovative and do multiple trial-and-errors. 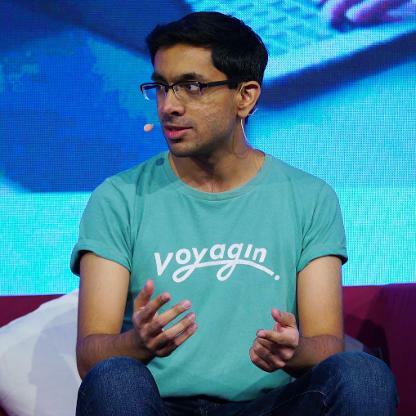 Tushar Khandelwal is the co-founder and COO of Voyagin, a marketplace that aims to help travellers discover and book “the best things to do, attraction tickets, and unique local tours”. It also provides guest reviews of attractions, and lets travellers book their experiences seamlessly. Launched in 2012 in Japan, it was acquired by Japanese e-commerce giant Rakuten in 2015, and currently caters to six languages and 19 currencies. 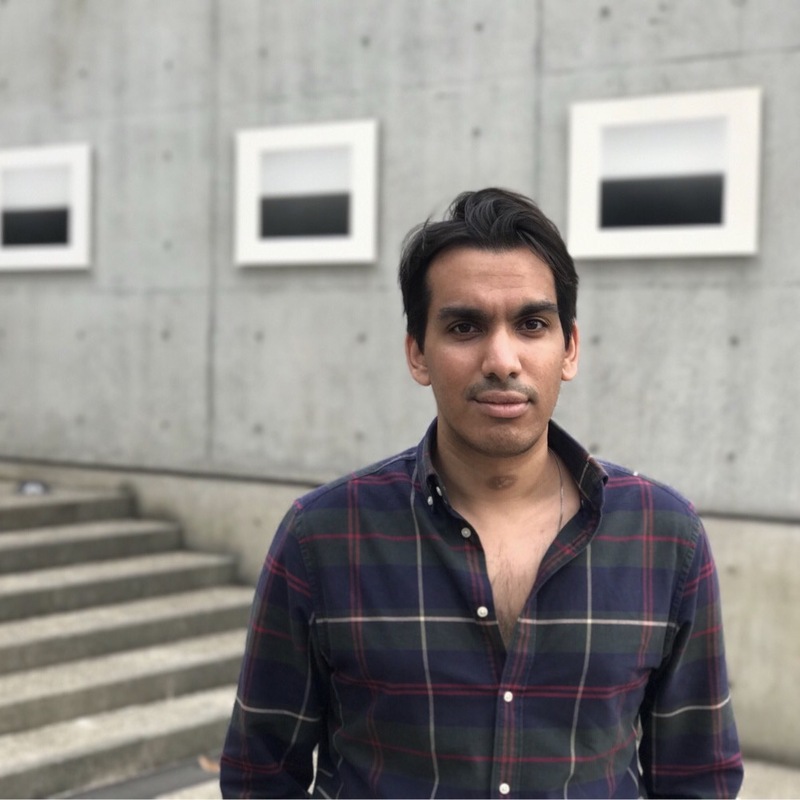 Khandelwal, while born in India, grew up in Tokyo, went to college in New York, and currently lives in Singapore. He was also active in the startup scene when he was in New York, having been at Social Bicycles and Producteev (discontinued) before his move back to Asia. Keyis Ng is the co-founder and CEO of Cafebond.com, an e-commerce platform that deals with the fuel of many working people – coffee. Before Cafebond, Ng was a marketing professional for seven years, working with huge clients like Gucci and Google. However, he sold his business after realising that the marketing life wasn’t for him. Launched alongside longtime friend and co-founder Eugene Chen, the duo were inspired after an epic cup of coffee at St Ali Coffee Roasters, a very popular cafe in Melbourne. 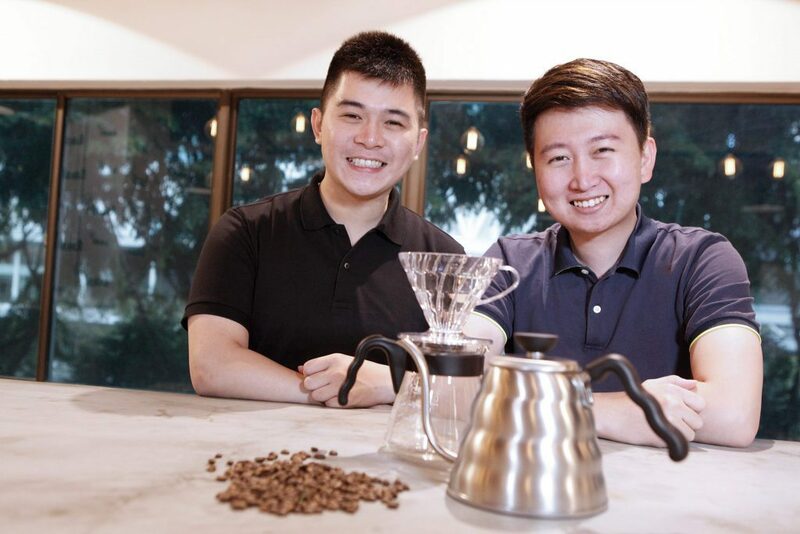 Wanting to bring the best of Melbourne’s coffee culture back to Singapore, they started up Cafebond.com so that coffee lovers from all over the world could share their cultures through the bean. Launched in mid-2016, Cafebond.com has since received funding from angel investors and VCs, including Quest Ventures. Just last week, we spoke to the 2 founders of Secretlab to find out what they studied before starting up. Revealing that more than their years of formal education, their gaming days played a bigger role in how they run their business, this approach definitely worked out perfectly for them. Established in 2015, Secretlab was bootstrapped by the duo, and today, has reported annual sales of more than $15m. But even with their accomplishments, they revealed in an interview that they often “don’t take time to pat [themselves] on the back”. As absurd as it sounds, we became our own competition over time. It was always about coming up with something better than what we did last and it wasn’t easy. Nyha Shree is the co-founder of Jumper.ai, which aims to help businesses engage potential customers using social media platforms. All businesses need to do is choose a hashtag, add their product’s details, and Jumper.ai will send an instant reply to a consumer once they comment on the tagged social media post. Jumper.ai then lets customers pay for their items via chat through Stripe or PayPal. Launched in May 2017, the startup was incubated by PayPal, accelerated by Target USA, and has won multiple awards in startup competitions. To date, they have worked with over 3,000 businesses globally, with some of their largest clients being Unilever, Uniqlo, and Disney. Dinesh Balasingam is the COO of Chope, a platform launched in 2011 by founder and CEO Arrif Ziaudeen. Just like what its very Singaporean name suggests, the platform helps consumers make reservations at their favourite restaurants without any fuss. Chope also has services for restaurant owners that go beyond reservations – for example, it also helps owners in table management, guest recognition, and even email marketing. Currently, Chope has gone beyond our shores and is operating in 8 cities in five countries, including China, Indonesia, Hong Kong, and Thailand. Last October, Chope announced that it had raised a Series D funding of US$13M. Balasingam has played a huge role in the growth of Chope, having forgone college to join the startup in 2011. 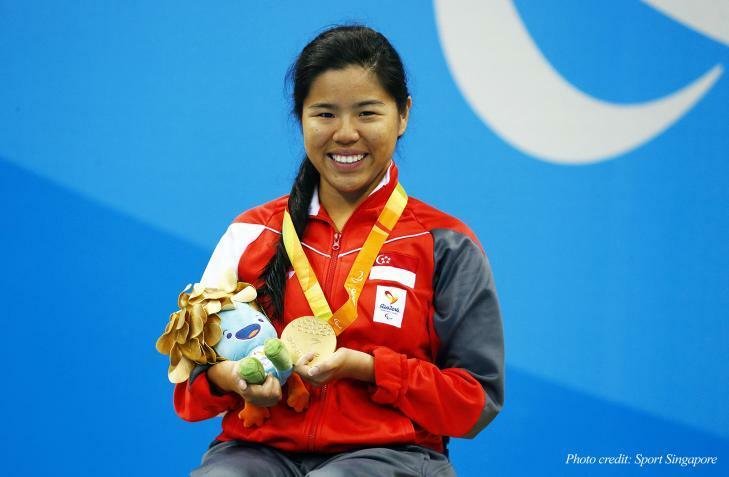 Just like how national swimmer Joseph Schooling was Singapore’s ‘Golden Boy’, Yip Pin Xiu is our ‘Golden Girl’, having won three Paralympic gold medals, one IPC gold medal, and holding two world records in backstroke. Yip started swimming at 5, and while she lost her ability to walk at 11, started swimming competitively when she was 12. She is also a strong advocate in raising awareness of disabled sports, and was named “Young Woman Achiever of the Year” by local magazine Her World for her achievements. She was also conferred the Pingat Jasa Gemilang (Meritorious Service Medal) during the National Day Awards ceremony. In spite of being born with a disability, Pin Xiu carved herself an illustrious swimming career with her infectious optimism and positivity, partly thanks to a very supportive family. There are some families where, because you are disabled, you are not allowed to do a lot of things. That will make people think even more about their disabilities and blame themselves for it… In my head, I don’t define myself as a person with disability. 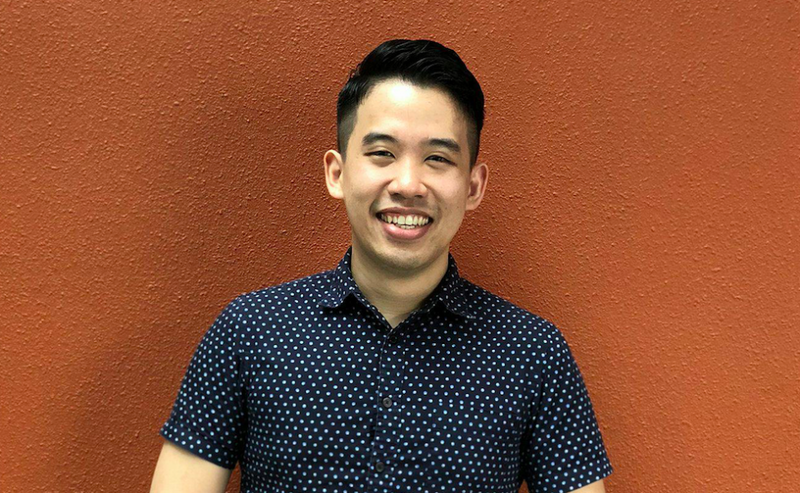 Adrian Ang is the co-founder and CEO of AEvice, the biomedical startup that created BioAsthma, a wearable device that uses AI to monitor breathing patterns. An asthma sufferer himself, Ang and his co-founders started up to improve the lives of asthmatic children. The device helps to pick up on abnormal sounds made by the child’s lungs and alerts parents of the onset of an asthma attack through a mobile app. 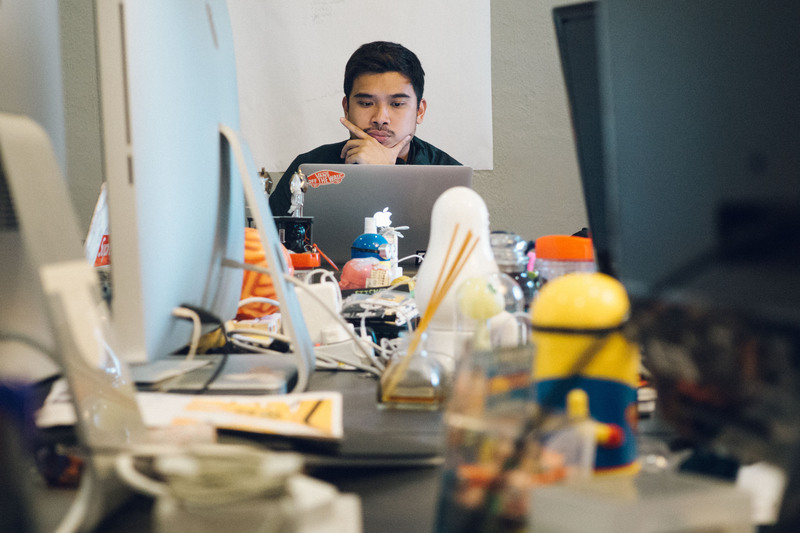 Ang is also a serial entrepreneur, having launched 2 other startups during his undergrad days in Nanyang Technological University, where he majored in Electrical & Electronics Engineering. In line with his current pursuits, he also has a Master of Science in Technopreneurship & Innovation from the same university. 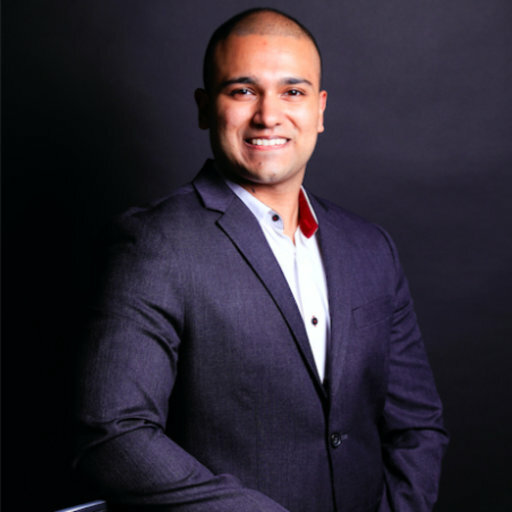 Dr Dinesh Visva Gunasekeran is the founder of VISRE, an initiative that aims to facilitate the early detection of eye diseases through immersive technology like Augmented and Virtual Reality solutions. A doctor with a wealth of experience from practicing in various countries, he was inspired to develop the technology after volunteering at eye screenings for the underprivileged, and realising that “many weren’t aware of the symptoms of visual impairment due to a lack of education”. His solution is a downloadable immersive experience that helps users easily identify symptoms of eye diseases through visual aids. 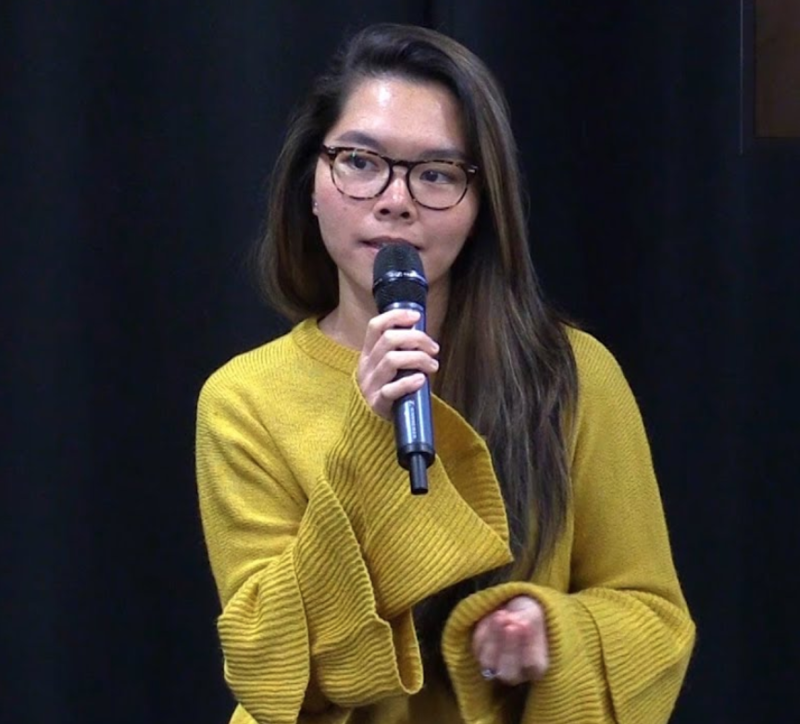 Duong Tong is the co-founder of Homage, a healthtech startup that aims to provide quality in-home care for seniors by enabling trained caregivers with technology. The platform uses a proprietary matching engine to pair seniors with the most appropriate healthcare professionals, helping both seniors, and also helping caregivers turn into ‘micro-entrepreneurs’, providing them an opportunity to earn some extra income. Apart from raising US$1.2m of seed funding, the startup was also singled out during the National Day Rally in 2017 by Prime Minister Lee Hsien Loong for their contributions. Tong is an alumni of Singapore Management University, and is currently an Advisory Board Member of SMU Social Impact Accelerator, and a mentor for the social enterprises under the programme. 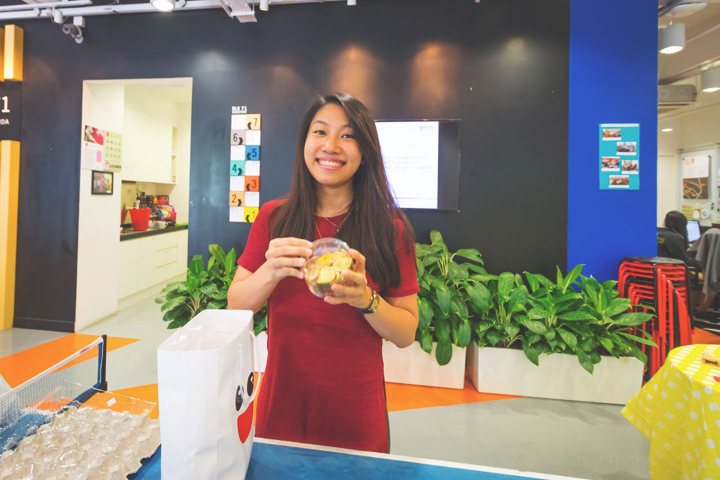 Esther Chunshu Wang is the founder of Joytingle, a healthcare education startup best known for educational toy ‘Rabbit Ray’ that teaches children about medical procedures like injections, vaccinations, and intravenous drips. ‘Rabbit Ray’ is currently used in hospitals across 5 countries, including Johns Hopkins Children’s Centre (USA), Evelina London Children’s Hospital (UK), and National University Hospital (Singapore). Minister of Finance Heng Swee Keat also highlighted Joytingle in Parliament as an example of “innovation by design” in 2016. She graduated from Nanyang Technological University with a fine arts degree in product design. 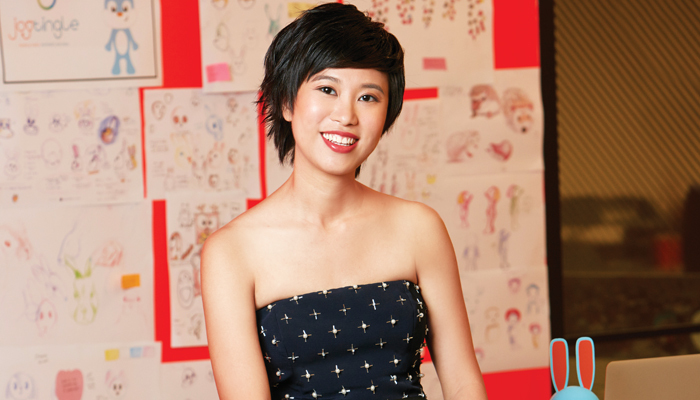 During her undergrad days, Wang worked with National University Hospital (NUH) to co-develop an Educational Medical Doll – marking the beginnings of Joytingle. 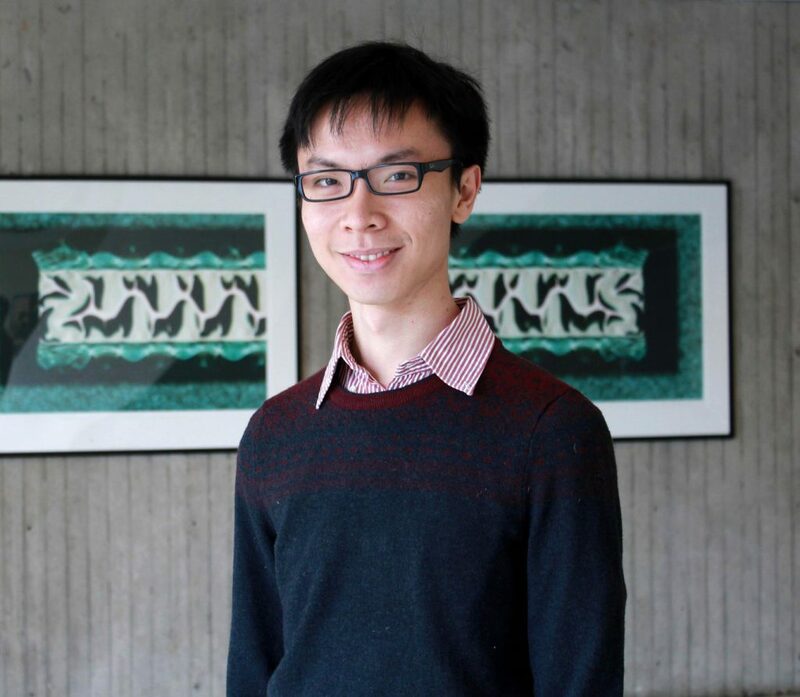 Min Hao Wong is the founder of Plantea, a startup that has developed nanosensors that can get real-time data from plants so that farmers will know if they need more water or if they’re ready for harvesting. Plantea is currently selling the software on a subscription basis. Its sensors are delivered in the form of a solution, and can be easily applied to leaves of plants with a 3D-printed surface. Only 1 of 2 of these ‘sentinel plants’ are needed in a zone of crops. Plantea is also building self-controlling farming environments which use their sensors to get feedback and automatically set growth conditions to eventually maximise food production. 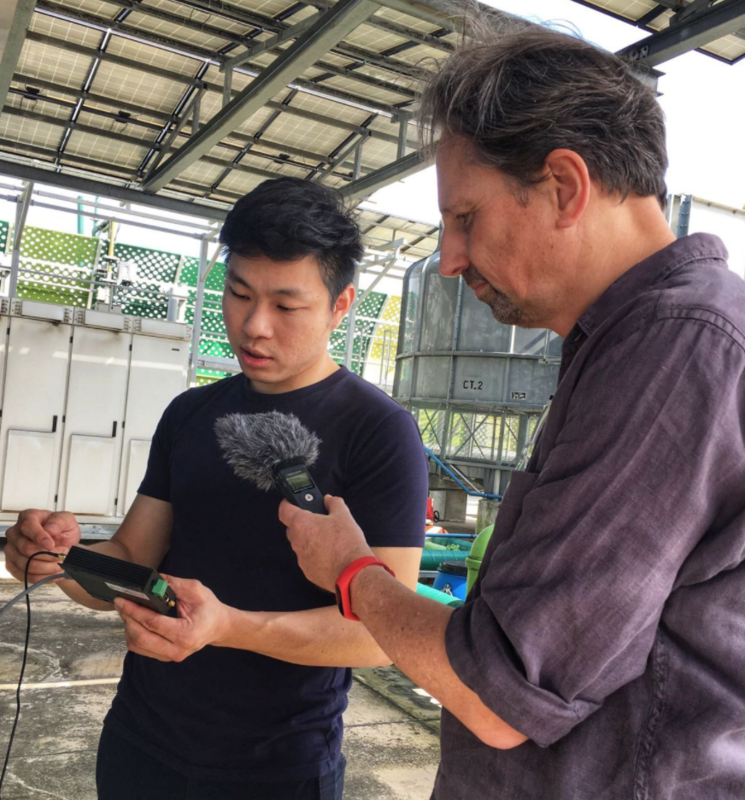 A graduate student at Massachusetts Institute of Technology (MIT), Wong is also the deputy scientific director of the Center for Disruptive and sustainable technologies for Precision Agriculture in Singapore. 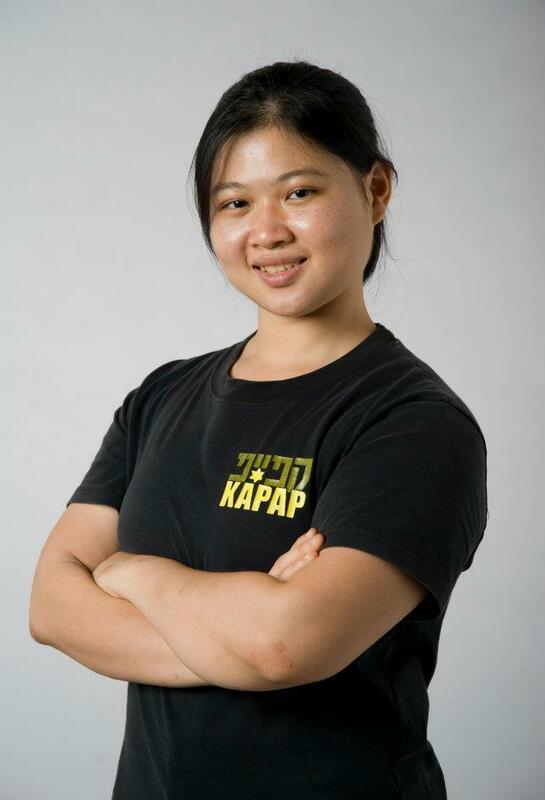 Qin Yunquan is the co-founder of Kapap Academy, a social enterprise dedicated to empowering women and ordinary people of different ages through realistic self defence skills that are intuitive, effective, yet simple to learn and execute. Qin started Kapap Academy with her mentor and friend Master Teo Yew Chye, who is a psychologist by training, but was inspired to help ordinary people stay safe after his brother was fatally injured in a street attack. We are seeing more young women challenging traditional gender roles, to become a modern day femme fatale of sorts. They do not believe they have to hide behind men, and are willing to learn sports such as catch wrestling. Last year, she also became the first and only self-defense instructor to receive the Queen’s Young Leaders Award. This year, healthcare stood out as the industry with the most individuals on the 30 Under 30 list. There were also more female individuals highlighted this year, with them accomplishing great things across various sectors. We’re excited for who next year’s list will bring – who do you think we’ll be seeing in 2019? Let us know!